Reconciling a sluggish global economy and all round uncertainty with rallying stock markets and tight spreads is preoccupying most minds today. While the market pundits seek to resolve the current dilemma, it is upon us not to overlook some basic principles that we have learnt over time in finance as in life. “Reap what you sow” perhaps will resonate with almost everyone. In finance, we try to calculate the present value of our “reapings” to determine the worth of those today. Imperative to all reapings are sowings today which are aplenty in developing markets while the developed world is still figuring out its next steps. With developing markets becoming increasingly important both economically and politically, a technology renaissance and policy-sowing (to coin a term) in the developing world takes center-stage. Geopolitics, a catch-all phrase to describe actions of various nations including developing ones, assumes greater significance for investors when internal and external policy actions of developing markets create opportunities and aim to reduce risk. Developing markets, long viewed as bastions of growth have attracted most traditional investing minds with their magnetic influence of tangible and visible manifestations of reforms (e.g. various forms of consumerism, infrastructure etc.). Careful minds have also sought to avoid risks by worrying endlessly over the direction of the dollar, equity valuations, interim volatility, liquidity etc. To the few who attempt to go beyond the herds there are potential premiums for providing patient capital to create the structural drivers of change or exploit the very risk factors i.e. inefficiencies most traditional minds seek to avoid. China is a prime example where both co-exist. Disruptive technologies (beyond copy cats and knockoffs!) are born by the day while at the same time financial sector reforms (Stock/Bond Connects, SDR inclusion of RMB, CBRC rulings etc.) aim to globalize and institutionalize capital markets and cleanse the system of non-performing loans and shadow banks. In a similar vein, fintech, IOT, social media, blockchain, cryptomining etc. are the DNA of many secular changes often also integral to ESG agendas across many developing markets. This is particularly notable in the African continent where many countries are basing their entire futures on modern day tech (e.g. drones, mobile platforms etc.) after having skipped a generation or two of intervening technologies. India on the other end of the spectrum as an IT powerhouse has ushered in a wave of digital technologies (e.g. 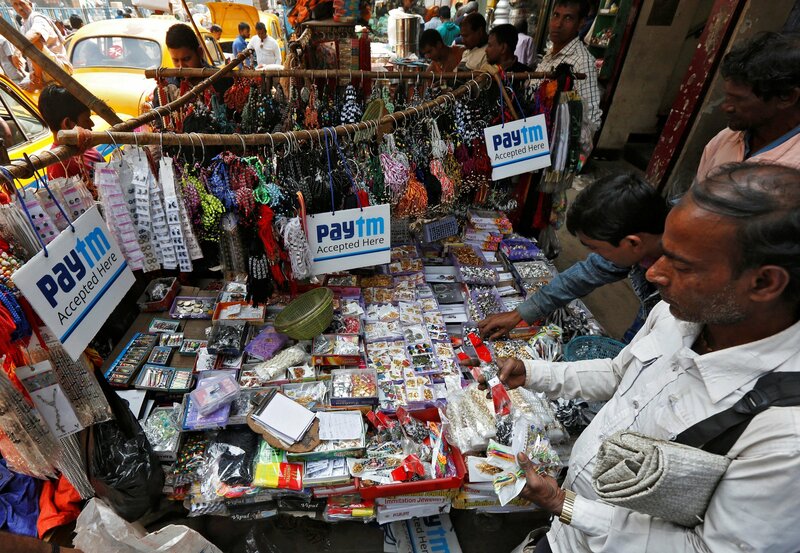 mobile payments) post demonetization and taken steps to strengthen creditor protection by introducing Bankruptcy Laws. We can go on and on citing similar drivers of change notwithstanding the persisting inefficiencies across the developing world, the point being that in aggregate, such developments expand the opportunity set for alternative strategies presenting potential premiums for growth, illiquidity, inefficiency and quite often complexity. What’s noteworthy is that these potential premiums are mostly driven by idiosyncratic forces (managers’ unique insights, access, execution etc. i.e. alpha sources) and are less correlated to investors’ bouts of fascination with EM (as we are experiencing currently) or its morbid fear. Though domestic initiatives and policies are hugely important, today’s changing global landscape also warrants a close watch on external/ foreign policies, bi-lateral relations and the like. With erstwhile global powers taking a back-seat of their own volition or because of their diminishing clout, new leaders are surfacing on the world-stage who are trying to feed their nationalist agendas by consolidating their power both regionally and globally. China, once again, is an easy guess. In a bid to round up regional support as much as to flaunt Xi Jinping’s growing global influence ahead of Party Congress in a few weeks, China has strategically promoted RCEP (Regional Comprehensive Economic Partnership of 16 Asian nations, representing 40% of global GDP) in the wake of TPP’s (Trans Pacific Partnership) collapse to benefit both economically as well as politically. Similarly, OBOR’s (One Belt One Road) aim to link China to Europe and Middle East through land (belt) and maritime silk route (road) is yet again China’s bold attempt to create new demand for its goods and services and export its excesses (semi-conductors not just steel) and extend its influence across the 65 countries that OBOR spans. Consolidating its position are new economic partnerships in Africa, Europe and Middle East and success in gaining the political obeisance (e.g. maritime code with ASEAN) of its Asian neighbors (and opponents in the South China Sea) like Philippines, and even South Korea. The developing world is rife with other such examples as with India planning to build the Asia-Africa Growth Corridor (India’s response to China’s OBOR), welcoming foreigners like Apple, Amazon, Softbank etc. to “make in India” and Saudi Arabia forging ties both locally with UAE (to counter Qatar and ally Iran) and China to supply crude and attract foreign investments (beyond the Aramco IPO). Well once again, the point is that investors looking for outside-the-box ideas must carefully monitor what opportunities these winds of change bring especially when the developed world appears “stuck”. In a rapidly evolving “to each his own” world, widely labeled as nationalism, the internal and external machinations for countries across the developing world ranging from China to India to Russia to Saudi Arabia and beyond have huge long term and far reaching implications. Whether it is called “China Dream”, or “Make In India” or “Vision 2030” the underlying sentiments all allude to improving their economic lot while weeding out systemic deficiencies. But what is germane to any of these programs is the ability to enact these monumental changes which necessitates the staying (and increasing) power of the visionaries/chief architects in these nations be it Modi in India, Xi Jinping in China or Mohammed Bin Salman in Saudi Arabia. What bears watching then is the drive toward consolidation of power in leaders like these throughout the developing world. So when BJP in India wins control of over 80% of the state legislatures or Xi Jinping is designated “core” leader, those are good indicators of political stability crucial to the implementation of any of these grandiose plans. Yes, as these are often “dreams and visions”, one has to be mindful of false dawns and promises and thus prudence would dictate discounting carefully to determine the present value of poli-tech. To wrap up, many seeds of creative and adaptive destruction are being sown across the developing world and power to those investors who are willing to go beyond the herds to invest in the present value of present day poli-tech with future ramifications. EMA shall remain vigilant to these structural drivers of change and inefficiencies to identify emerging opportunities (and associated risks) for sophisticated investors. Stay tuned. Copyright © 2019 Emerging Markets Alternatives, LLC. All Rights Reserved.